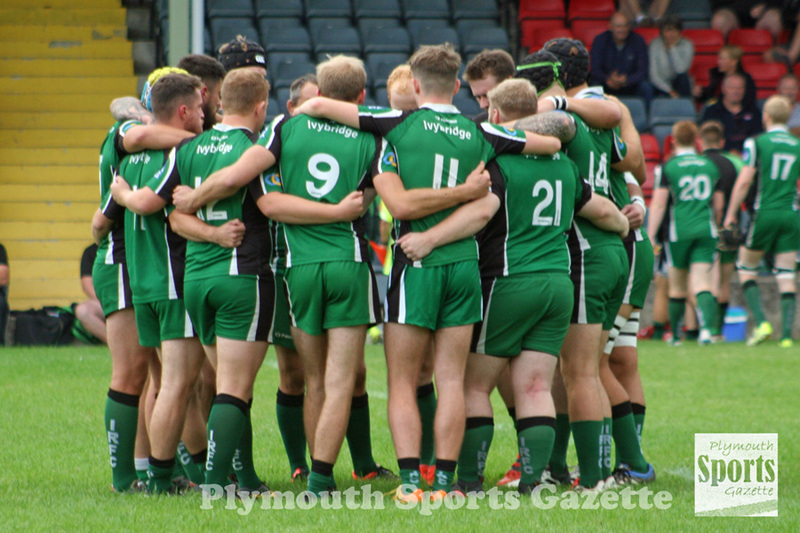 IVYBRIDGE are hoping to get their season back on track when they host Maidenhead at Cross-in-Hand in a top four South West Premier clash. The Bridgers have not won in 2019 and have dropped down to fourth in the standings with Maidenhead moving above them into third. But those positions could switch around again this weekend if Ivybridge could claim a much-needed win at Cross-in-Hand. 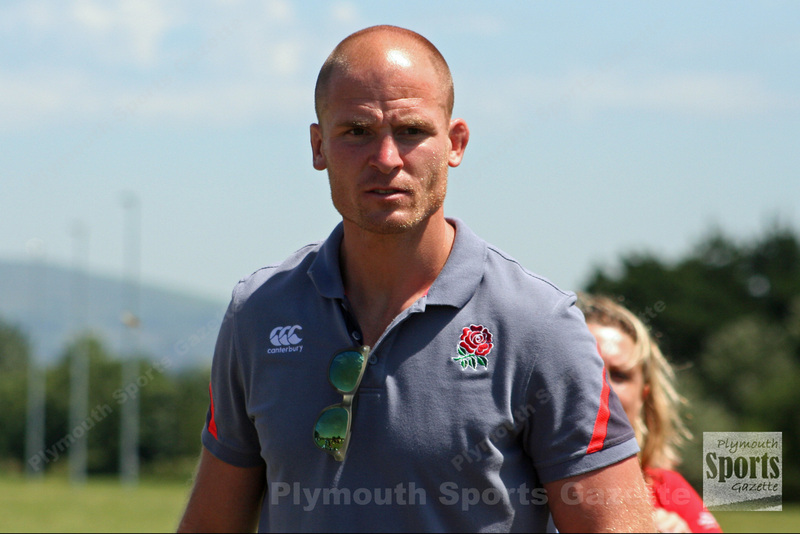 “Being next to each other in the league makes it interesting and we are looking forward to it,” said Ivybridge player-coach Jamie Tripcony. The Bridgers are hoping last week’s break will work in their favour. “We had a video discussion last Tuesday and then we trained quite hard in the snow on Thursday and trained hard again on Tuesday, putting all the pieces together,” said Tripcony. “Hopefully, we have used it (the break) wisely. What we have been doing has not been good enough so we have put ourselves through our paces a little bit, but we are not going to know until 4.30pm on Saturday afternoon whether we have been doing the right thing or whether we have to go back to the drawing board, get even tighter and work even harder. Maidenhead have won four of their last five games, including beating Exmouth 38-14 at home in their last match. They were also the first team to beat Ivybridge this term when they won 33-29 on October 20. The Bridgers have picked up a few injuries in recent weeks and look set to have to re-gig their side again this weekend but Tripcony said he was confident in the team that would be selected. DEVONPORT Services coach Mike Lewis has challenged his team to try and chase down the teams currently above them in South West One. Services sit comfortably in sixth spot in their first season in the league. They are eight points ahead of seventh-placed Hornets and four behind fifth-placed Newent. Although a top six finish was their target at the start of the year, Lewis does not want them just to settle for that. With the four teams immediately above them playing each other this weekend, Services have the chance to close the gap, if they could beat Thornbury at home. “We are looking at this weekend as that next stepping stone,” said Lewis. “If you look at the top of the league there are a lot of teams playing each other so there are points up for grabs and gaps to be closed. “We are looking at this as an important home game. We want a big performance to try and gain a bit of ground on the teams above us. Services will certainly not be taking 10th-placed Thornbury for granted. When the sides met earlier in the season in Gloucestershire, Thornbury won 29-14. “They beat us up there quite well,” said Lewis. “It was a tightish game but when they had a break they would score but when we had a break we didn’t. Lewis certainly has plenty of players to select from this weekend. Services’ second team will be away at Barnstaple II in a big Devon Merit Table match. Currently just three points separate the top five – Newton Abbot, Barnstaple, Okehampton, Exmouth and Services – in the Merit Table. Services’ second string head to Barnstaple boosted by a good away win against a strong Brixham side away last weekend. Services II have an impressive 53 points from their 15 games so far in Merit Table and could yet finish as Devon’s best second string. In Western Counties West, Saltash have an important home game against second-from-bottom Bideford. The north Devon side have picked up form since December and have beaten Kingsbridge and Chard, drawn with fourth-placed Wellington and finished within a score of Crediton and Falmouth. They are now just five points behind 10th-placed Saltash so a win on Saturday would be massive for both teams, especially with bottom side Paignton playing fourth-from-bottom Chard. For Saltash it would give them some breathing space again, while Bideford know they could move out of the relegation zone with a win. When the sides met in October, the Ashes narrowly won 13-10. 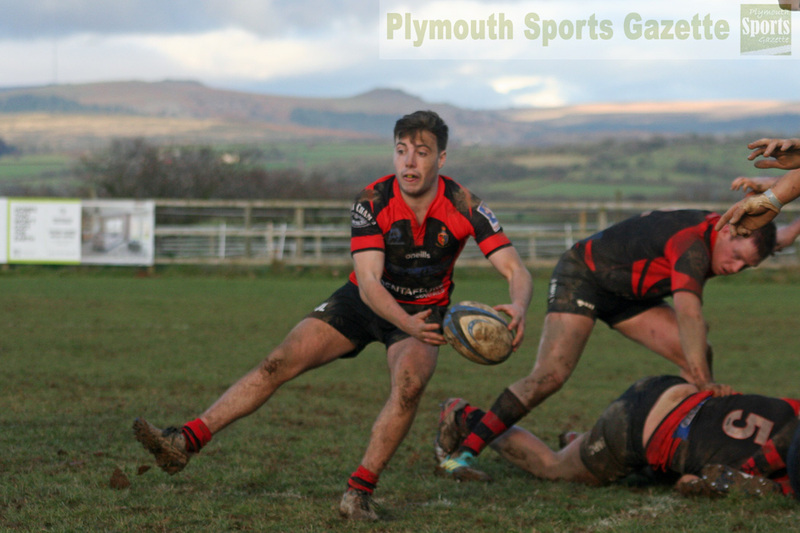 PLYMSTOCK Albion Oaks are looking to return to winning ways when they host Topsham at Horsham Fields on Saturday. Fourth-placed Oaks suffered only their third defeat of the season in their last outing when they were beaten 19-10 away by Tavistock at a wet and windy Sandy Park. Taylor, though, does not expect an easy game against eighth-placed Topsham, who have proved on their day that they can match most teams in the league. “They have some electric backs,” said Taylor. “When we played them last time their backs were very strong and caused us a few issues. They moved the ball really wide and went two tries up inside the first 10 minutes and it looked like it might be a long afternoon, yet we managed to claw it back. Oaks have good availability this week but could still be without two of their key players. Meanwhile, Oaks youngster Pete Keanie helped the South West Under-18s to a 25-21 win over Gloucester Academy last weekend. Taylor admits the 17-year-old could feature for the first team before the end of the season. Tavistock are hoping they can continue their winning run when they travel to sixth-placed South Molton. Tavistock have won their last three matches, including beating high-flying Oaks in their last outing, to move clear of the relegation zone. Their good form has coincided with the arrivals of Australians Hamish Dawson and Doug Morgan-Thomas. However, the pair will be playing their last match this weekend before going on their travels. South Molton beat Tavistock 31-8 at Sandy Park in October, but the north Devon side have been struggling for form since Christmas. Tavistock are forced to change their regular second-row for Saturday’s game. The usual pairing of Seb Cox and Leione Cole will be replaced by Tom Friend and Jack Jones. Cox is away, while Cole has been struggling with a shoulder injury and so is only named on the bench. Jack Lewis will make his first league start in four years for Tavistock after impressing off the bench against Oaks, while Kerswill is hoping to shake off illness to feature. Relegation-threatened Plymouth Argaum are also hoping they might be able to cause a surprise and pick up some much-needed points against fifth-placed Torquay Athletic at Bickleigh Down on Saturday. 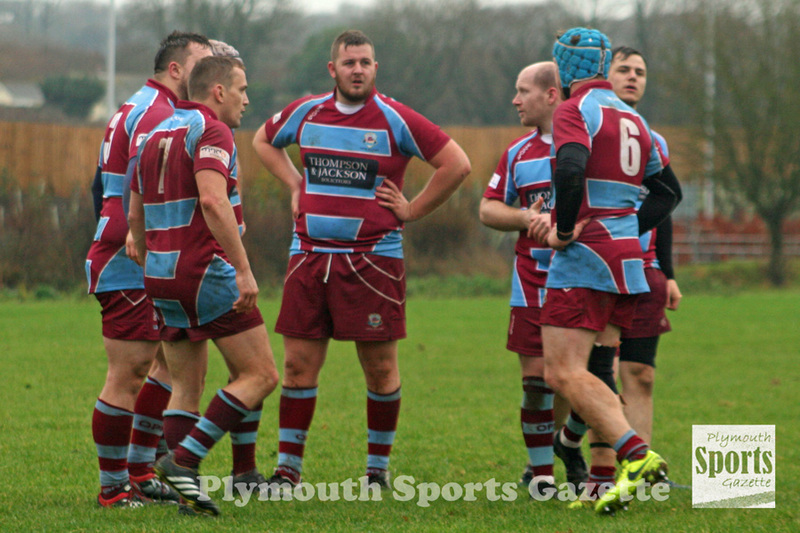 Anything thing they could pick up this weekend could be massive to them, especially with the two teams immediately above them – Lanner and the Pirates Amateurs – playing each other on Saturday. “Torquay put 70 points on us away but I believe there is an upset out there and we just have to try and get it,” said Stuart Quarterman. Argaum will be keen to get a bit of form ahead of next week’s vital trip to Lanner, which is a fixture they have ‘targeted’. 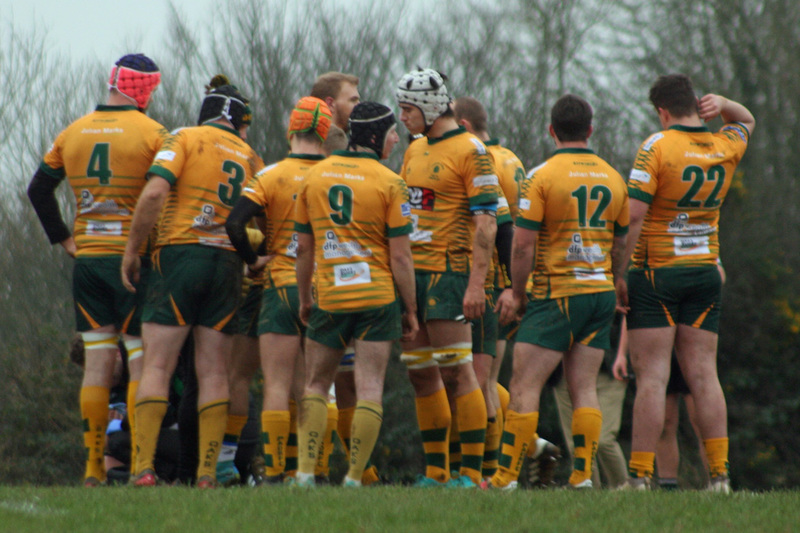 The Roborough-based club will be stronger than they were in their last match, but are still missing some key players. They will also say goodbye to prop Mason Edwards this weekend. He is relocating to north Somerset for work. Argaum have Lewis Hunt, Jamie Burton and Rory Dingemans available again. Burton made his return to playing in the second team a couple of weeks ago. Elsewhere in the Cornwall/Devon League, Liskeard-Looe host leaders Honiton at Lux Park. OLD TECHS are expecting a tough battle when they travel to Torrington in Devon One on Saturday. The two clubs have virtually identical records this season. They both have five wins and seven defeats to their name and both have four trying scoring bonus points and one losing bonus point. Torrington are only one place above Techs in the table courtesy of an eight point better points difference. Techs did beat Torrington 43-10 at home with a makeshift side, but they are aware that their opponents do not travel that well. “We know it will be different playing at their place,” said Bedford-Smith. “They know their pitch well and they will probably be stronger. We know from previous visits how hard it is to win there. Techs are without powerful centre Matt Simmonds, prop Sean Doyle and second-row James Douglas, but that are able to welcome back full-back Dan Bartlett and Lewis Harvey. Techs have arranged a coach to take them up to Torrington and plan to stay for a bit and make a club day out of the long trip. OPMs are also on their travels this weekend. They head to Totnes hoping to finally get off the mark in 2019. The Old Boys have narrowly lost their last four matches, with three of those defeats by three points or less. But Totnes have also been not been able to get a win in 2019. The teams sit eighth and ninth in the standings and are separated by just three points. Both sides have four wins and nine defeats to their name. However, both are in the bottom four for different reasons. OPMs’ big problem has been scoring points, but Totnes’ issue has been conceding too many. Tamar Saracens are without a match in Devon One this weekend. In the Devon Merit Table, old rivals DHSOB and Plympton Victoria are looking forward to meeting at Stonehouse Creek on Saturday. Both clubs have picked up form since Christmas and strengthened their squads. 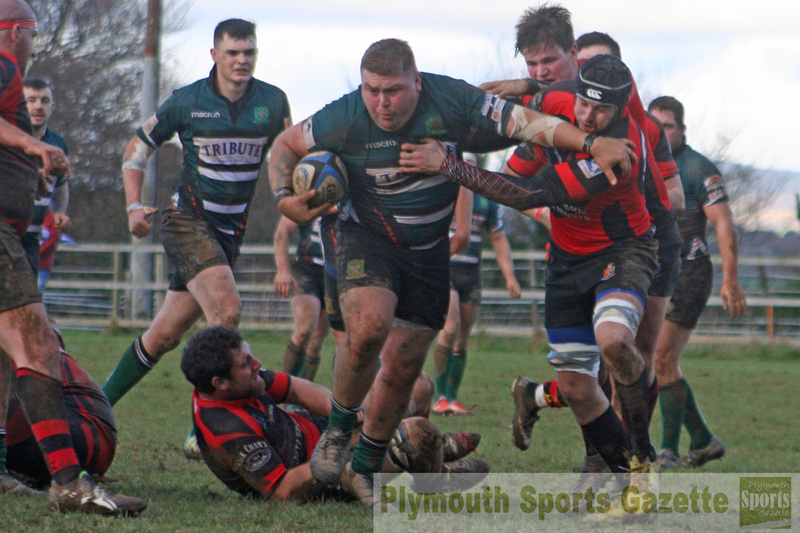 Plym Vic won 23-17 in October, with all DHSOB’s points coming in the second half. “It should be an interesting game on Saturday,” said Plym Vic’s Chris Hunt. Both clubs are having problems with their home venues. Plym Vic are still looking for a new permanent home since they were chucked off St Boniface Arena by the speedway team, while DHSOB are still without a clubhouse after the Stonehouse Creek centre closed. The Old Boys have been offered some portable cabins to make a room for their juniors to gather etc but say they have not been able to get the council to engage with them over the lease. They are worried they will lose some of their junior players unless the community centre either reopens shortly, which is looking unlikely, or they are allowed to create some temporary facilities. Elsewhere in the Merit Table, St Columba & Torpoint are due to host Kingsbridge II, who have lost form since Christmas after a good start to the season. Saints, though, have also not won since the Christmas break.